The residents of six apartments in Normal Heights were evacuated overnight after the discovery of a nearby sinkhole. The hole is located in the courtyard of an apartment complex in the 4300 block of 39th Street. 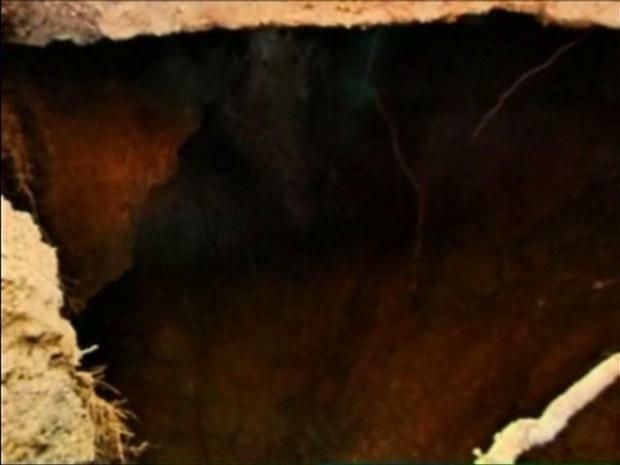 The sinkhole is only 9 inches by 24 inches at the surface, but, according to a city red-tag notice affixed to the building, the hole is 18.5 feet deep and about 10 feet wide at the bottom. 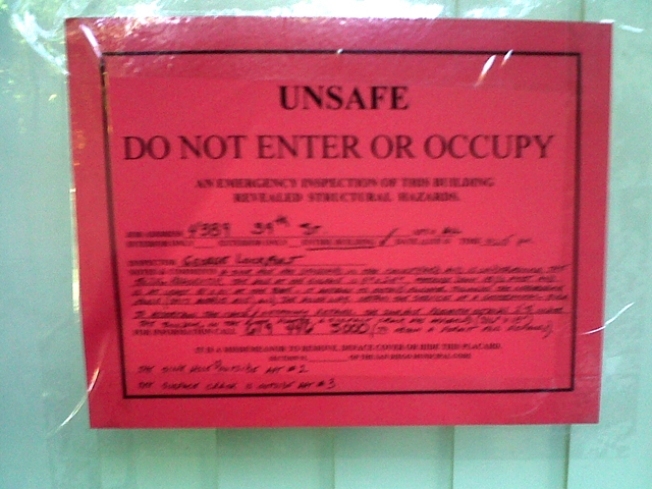 The red tag states that the foundation is undermined by the hole, so the complex's seven units were evacuated on Wednesday night. The discovery was only one the latest -- other sinkholes have been found all over the county from Oceanside to Mission Valley.